These 12 oscilloscope selection tips from Keysight Technologies are intended to accelerate your selection process and help you avoid some common pitfalls. You rely on your oscilloscope every day, so selecting the right one to meet your specific measurement needs and budget is an important task. But comparing different manufacturers’ oscilloscopes and their various specifications and features can be time-consuming and confusing. These 12 oscilloscope selection tips from Keysight are intended to accelerate your selection process and help you avoid some common pitfalls. Be sure to select an oscilloscope that has sufficient band­width to accurately capture the highest frequency content of your signals. For example, if the highest clock rate in your designs is 100 MHz, then you should choose an oscilloscope with a bandwidth of 500 MHz or higher. You’ll want to choose an oscilloscope that has a maximum speci­fied sample rate fast enough to deliver the oscillo­scope’s specified real-time bandwidth. Keysight recommends an oscilloscope’s maximum specified sample rate should be at least four to five times higher than the scope’s specified real-time bandwidth. Select an oscilloscope that has sufficient acquisition memory to capture your most complex signals with high resolution. Although you may intuitively think deeper is always better, using deep memory often means making tradeoffs when using many of the oscilloscopes on the market today. First of all, oscilloscopes with deep memory are typically priced higher. Second, acquiring long waveforms using deep memory requires additional waveform pro­cessing time. This typically means waveform update rates will be reduced, sometimes significantly. The ideal oscilloscope has a sufficient number of channels of acquisition so that you can perform critical time-correlated mea­surements across multiple waveforms. MSOs combine all of the measurement capabilities of oscilloscopes with some of the measurement capabilities of logic analyzers and serial bus protocol analyzers. Select an oscilloscope that has a fast enough waveform update rate to capture random and infrequent events to help you debug your designs faster. When you debug new designs, waveform update rates can be critical — especially when you are attempting to find and debug infrequent or intermittent problems. These are the toughest kinds of problems to solve. Faster waveform update rates improve the oscillo­scope’s probability of capturing illusive events. Pick an oscilloscope that has the types of ad­vanced triggering that you may need to help you isolate waveform acquisitions on your most com­plex signals. Even with advanced parametric triggering capability in an oscillo­scope, determining which special trigger mode to select and how to set it up can sometimes be confusing. With Zone Trigger, you can simply draw a box (zone) in the region of the anomaly, and then the oscilloscope isolates only the infre­quently occurring edges with the non-monotonic edge. Oscilloscopes that provide multiple levels of trace intensity gradation in order to display subtle waveform details and signal anomalies are the best choice. In addition to the number of levels of trace intensity gradation, other factors that should be considered regarding an oscillo­scope’s display quality include update rate, display size, display resolution, viewing angle, color versus monochrome, and user-se­lectable display modes such as variable and infinite persistence. Select an oscilloscope that can trigger on and decode serial buses to help you debug your designs faster. Serial buses such as I2C, SPI, RS232/UART, CAN, USB, etc., are pervasive in many of today’s digital and mixed-signal designs. Verifying proper bus communication along with analog signal quality measurements requires an oscilloscope. By picking an oscilloscope that can automatically perform your required parametric measurements and waveform math operations, you can characterize your designs faster. You will find that digital oscilloscopes from various vendors have a wide variety of measurement capabilities. But nearly all of today’s DSOs provide manually-controlled cursor/marker measurement capabilities as well as a minimum set of automatic pulse parameter measure­ments such as rise time, fall time, frequency, pulse width, etc. 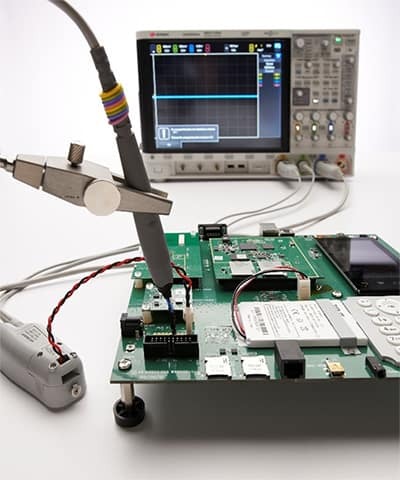 You’ll want an oscilloscope that meets your particular hardware connectivity, test automation, and electronic documentation requirements. Most older DSOs were limited to GPIB and/or RS232 connectivity. Most of today’s DSOs and MSOs use USB or LAN con­nectivity. Select an oscilloscope from a vendor that can provide the variety of specialty probes you may require. Your oscilloscope measurements can only be as good as what your probe delivers to the oscilloscope’s BNC inputs. When you purchase a new oscilloscope, it typically comes stan­dard with a set of high-impedance passive probes. For higher frequency measurement applications, active probes should be used. Be sure to choose an oscilloscope that can improve your measurement productivity with an intuitive user interface. With the addition of more advanced features and capabilities in today’s oscilloscopes, many engineers find the devices have become more challenging to use. If an advanced feature is too difficult to find because it’s buried deep in the sub-menu, or if it’s too difficult to set up because of a myriad of settings, the benefit of having a new oscilloscope is lost. Look for devices that are highly responsive, have larger displays for ease-of-use, and that have access to built-in HELP to provide short set-up tips about specific features when you need them. Keysight’s mid-range performance InfiniiVision 2000, 3000, and 4000 X-Series oscilloscopes have been optimized for bench-top debug and troubleshooting. These oscilloscopes come in bandwidth models ranging from 70 MHz up to 1.5 GHz. With the fastest waveform update rates in the industry (up to 1,000,000 waveforms per second), these oscilloscopes can capture and display infrequent signal anomalies that other oscilloscopes miss. Keysight’s higher-performance Infiniium S-Series and 90000 Series oscilloscopes are Windows-based instruments that have been optimized for advanced waveform analysis. These oscilloscopes come in bandwidth models ranging from 500 MHz up to 63 GHz. The Infiniium Series oscilloscopes also have the deepest available acquisition memory in the industry (up to 2 Gpts). Also available on these oscilloscopes is a wide range of industry-standard compliance test packages, as well as advanced measurement options such as jitter analysis. 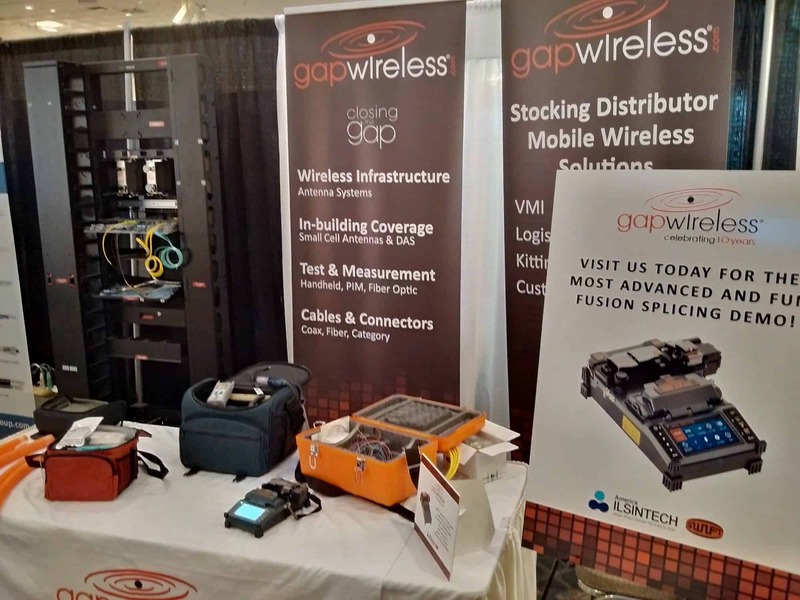 Gap Wireless is an Authorized Distributor of Keysight Technologies products and solutions. Contact us today for affordable solutions to meet all your Test & Measurement requirements!